Buford offers the best lifestyle options in Metro Atlanta. 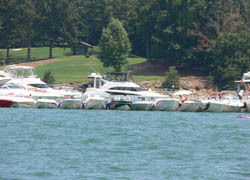 Recreation abounds with many area parks including the endless activities at Lake Lanier. Shop till you drop with everything from quaint boutiques and antique shops to Georgia's shopping destination, the Mall of Georgia. 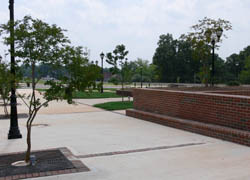 Any type of restaurant is available within two miles of Buford. From major chains as well as unique, locally owned restaurants, you are sure to find your favorite in Buford. Live, shop, eat and play! Buford&rsquo;s historic Main St. is Americana re-born. Art galleries, quaint shops and upscale eateries are just a few of the offerings historic Buford has to offer. Contrast that with one of the largest shopping malls in the country, the Mall of Georgia and the surrounding area offer a baffling array of shopping and eating choices. 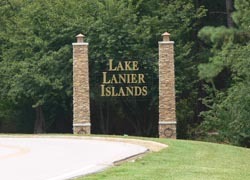 From fishing, boating, swimming, skiing, camping, Lake Lanier beach &water park and golf at Lake Lanier Islands to hiking and camping in the north Georgia mountains, Buford is near it all. The Atlanta Braves, Falcons, Thrashers, and Hawks are a short drive away with the Gwinnett Gladiators professional hockey team in neighboring Duluth. The Atlanta Braves have relocated their minor league team to the area as well. They are known as the Gwinnett Braves and have their stadium near the Mall of Georgia. Theatre, concerts of all types, symphony, ballet and museums abound in the area. Buford also has some of the best schools in the state. From the Buford City School system to the Mill Creek and North Gwinnett cluster, you will be hard pressed to find better academic and athletic school choices in Georgia.